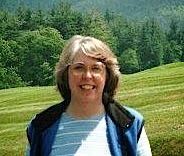 Poet and novelist Pamela Cranston's work appears in journals such as The Adirondack Review, The Anglican Theological Review, Blueline and The Blueline Anthology (published by Syracuse Press), Earthlight Magazine, Edgz, The Northwoods Journal, On the Trail: An Outdoor Anthology, The Mystic River Review, The Penwood Review. She is the author of the novel The Madonna Murders and the collection Coming to Treeline: Adirondack Poems. Though she now lives in Oakland, CA, Cranston's bond to the Adirondack High Peaks goes back to the 1870s when her ancestors began summering in the region. 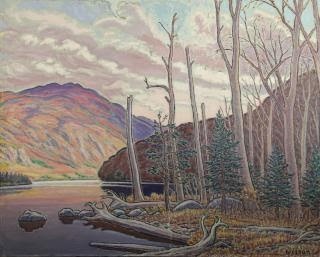 She was born into a family of painters, many of whom contributed to the local arts scene and the Adirondack Trail Improvement Society. 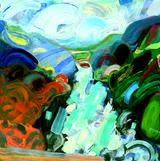 In these selections, she portrays two Adirondack painters. and cuts some curly maple and yellow birch. His hands sting with each swing. off the flanks of Lower Wolf Jaw. of teenage polio, Harvard and a sheltered life. who lives alone under the slopes of Giant. and spruce—spare as a Shaker hutch. from a spring off Noonmark. and kettle, and most crucial—a potbellied stove. in the beams. They gnaw all winter at his bones. from a boarding house run by Spencer Nye. hands and feet itchy with chilblains. the slippery load down to town. of these mountains he most loves. is etched on the canvas of his heart. wearing a heavy coat and high-laced boots. he wears a thin beard and a big grin. As if it never existed before. She lived a life without lines. She knew the color of in-between. Her barn was a picture of who she was. and dirty rags reeking of turpentine. who had rusted as they played. standing shin-deep in a stream. to weigh and absorb this feast of light. Her favorite painting was always the next one.